This is a cozy country store with a lot of home décor and one of a kind items. 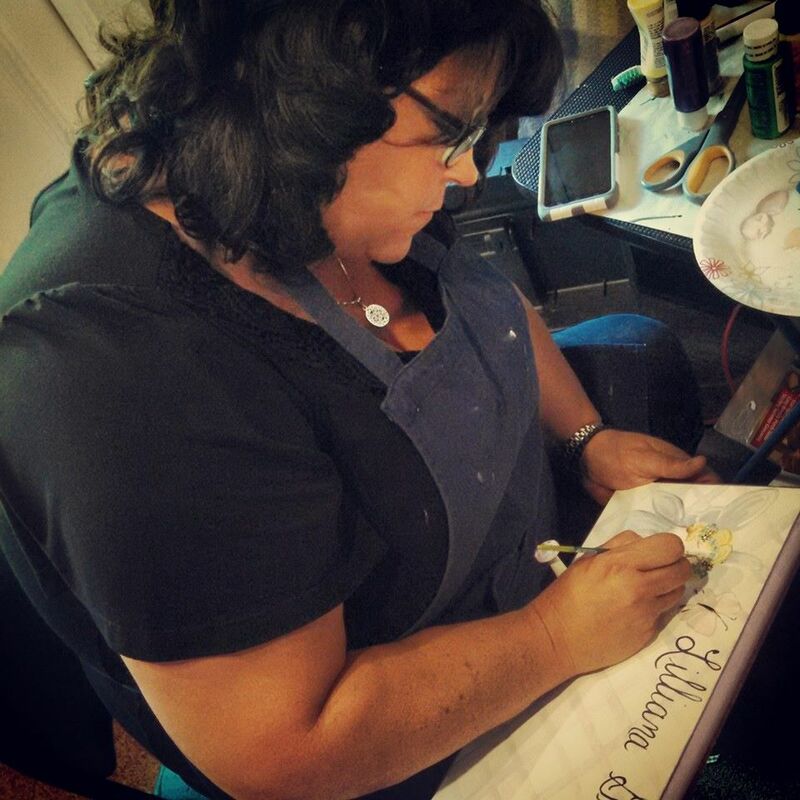 It has always been my dream to be able to create with several different kinds of mediums, from floral arrangements to painting. I started creating when I was just 3 years old. My Dad would set me on his lap at his art table and just let me paint or draw what ever I wanted. Today, I have started my own small business and still get a rush of excitement when I create new ideas. 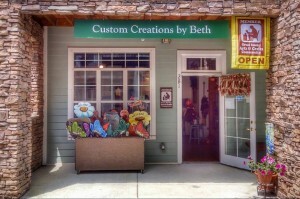 Custom Creations is a home based business that specializes in floral arrangements, painted windows, and painted wood items. I have developed a style of painting uniquely my own. At Custom Creations we also try to refurbish and reuse old items with in our products, you might say recycling is on our minds. Our floral arrangements have either silk or dried flowers or a combination of both. We incorporate antiques in our arrangements to give it that one of a kind look. We have grapevine wreaths, table displays, wall hangings, what ever comes to mind. Our painted windows are either seasonal or country settings. They are all hand painted with acrylics. Our painted wood items range from birdhouses to scarecrows. A large part of our business is seasonal lawn decorations, all of which are hand painted so no two are exactly alike. They are painted with bright colors and really stand out. During the holidays, we paint Christmas trees and incorporate lights and figures to give a cheerful image that can be used in the smallest of places. I will also take special orders. I can customize your personal treasures or family heirlooms. 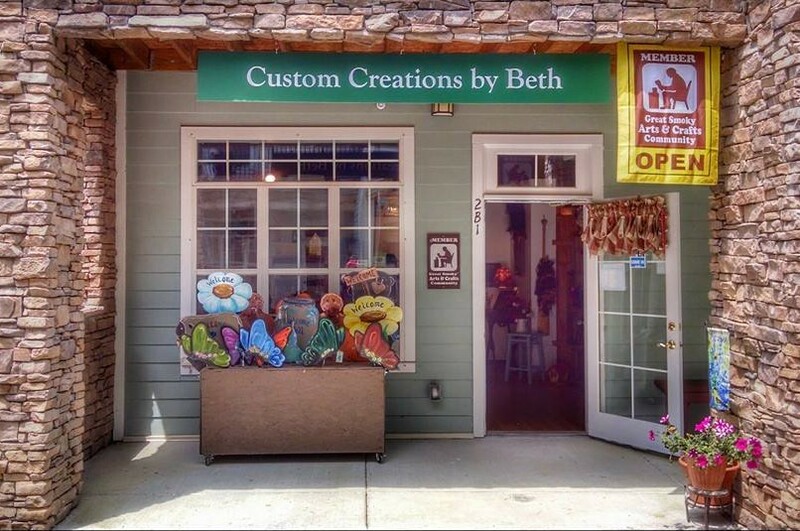 Please take a moment to view our products or visit us at our newly opened store in Gatlinburg, Tennessee! We are located at 849 Glades Road, Suite 2B1. You can also keep up with us on Facebook and review us on TripAdvisor! Due to the nature of our business, quantities are limited.